Extremely personal Great Barrier Reef Tour with outstanding customer service. We connect with our guests to ensure their expectations are met. Ocean Free offers you the opportunity to experience the wonders of the Great Barrier Reef as it was intended. Ocean Free is the only operator in Cairns to offer a personal sailing reef and island tour. Sail, snorkel and scuba dive aboard personalised tours with fun and professional crew. 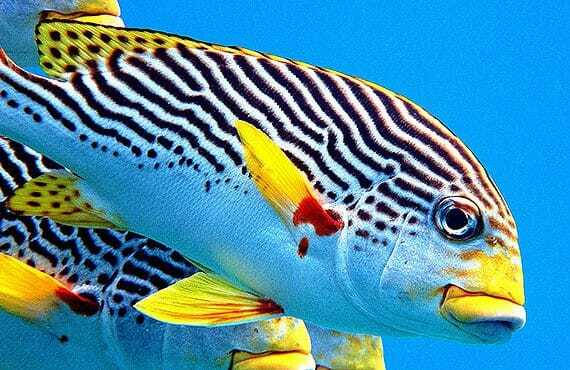 Explore Green Island in the Great Barrier Reef Marine Park with Ocean Free. 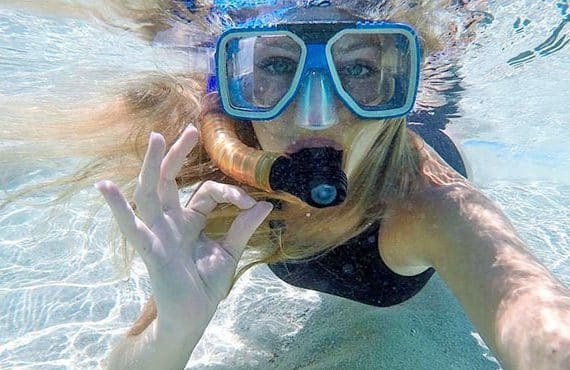 Whether or not you have previous snorkel or dive experience, let us show you the incredible underwater world of the Great Barrier Reef and this stunning tropical island paradise. Sail Ocean Free for that personal touch. The only Cairns operator to offer a real sail, reef and island experience, with time on Green Island. On Ocean Free the engines really do get switched off (wind prevailing). Ocean Free has an exclusive reef mooring, where only our guests snorkel and dive. You can snorkel straight off the boat at any time or try an introductory dive. You’re a name not a number, with a crew to guest ratio of 1:6. We take a maximum of 25 guests, even though Ocean Free is surveyed for 52. Outstanding customer service. Our crew really do make the difference, with enthusiasm and service, ensuring all our guests have a memorable and safe Great Barrier Reef experience. Snorkel Pinnacle Reef by just stepping straight off the boat. Take part in our complimentary snorkel tours and be blown away by the different species and colours of corals. Equipment provided. Ocean Free offer introductory diving (no experience needed) and certified diving. All dives are guided and the highest ratio of dive instructor to diver is offered. We take your safety seriously. Ocean Free is an Advanced Eco Certified product. Throughout our years of operating we have always and continue to have a strong commitment to protecting our beautiful Great Barrier Reef. This is a great value for money day tour with lots of inclusions. You have up to 4.5 hours to explore Pinnacle Reef on the Great Barrier Reef and Green Island. Adults $215 | Child (4-14 years) $130. Ocean Free is one of two personal Cairns Great Barrier Reef snorkel and dive tours operated by the company Cairns Premier Reef & Island Tours. We provide personal tours with outstanding customer service. Connecting with our guests to ensure their expectations are met. 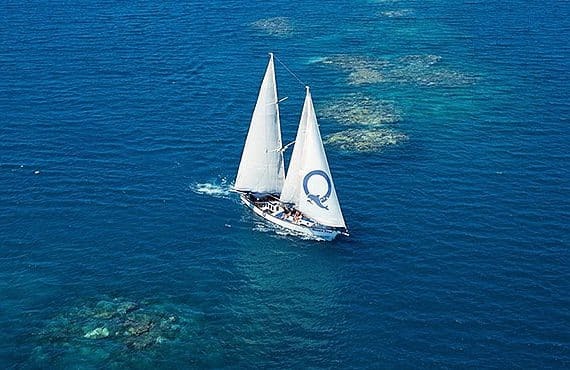 So for that personal touch, come sail with us on Ocean Free.